WorldFirst is a market leader in the international payments space and is consistently ranked among the most reliable and cheapest money transfer handlers for four-figure sums. Providing you meet minimum transaction requirements (usually a low four-figure sum that varies with each currency) WorldFirst is one of the best services for sending money across borders. WorldFirst exchange rates include the company’s fees and are extremely competitive, allowing for big savings over transfers handled by banks. WorldFirst is business friendly, in that it offers forward contracts, limit orders, bulk payments and FX dealer phone support. WorldFirst transfers can be processed over the phone, on the site or via the WorldFirst app. Update Feb 2019: Following the takeover of WorldFirst by Ant Financial in early 2019, WorldFirst has exited the US market, which means that US-based readers will no longer be able to open WorldFirst accounts. What Savings Can You Expect? On most transactions, WorldFirst advertises savings between 0.25 and 4 percent of the transaction amount when compared with the FX service of a typical bank. Let’s see what this means in real currency terms. Using BER’s Foreign Transfers comparison table, below, we’ll pretend we’re sending 5,000 Australian dollars to New Zealand. Given exchange rates at the time of writing, if sending via WorldFirst, the recipient of funds would receive NZ$5,154 (rounded to the nearest dollar). If sending at the average bank rate, the received amount drops to only NZ$5,010 for a saving of NZ$144. In terms of percentages, using the interbank exchange rate (AUD/NZD 1.044 at the time of writing), it’s easy enough for us to determine that the banks are charging 4 percent of the amount that would be received under zero-fee conditions (NZ$5,220). WorldFirst by comparison charges only 1.3 percent (these charges are easily seen in BER comparison tables under “total cost”). When compared with other FX specialists, WorldFirst consistently ranks near the very top for savings on international payments, across a range of currencies and amounts. A random sampling of 30 currency routes in February 2019 showed WorldFirst to be the first or second cheapest provider 80 percent of the time. 1. WorldFirst will call you to verify your identity and set up your online account, you can then monitor the rate in real-time. 2. When you are ready to do your transfer you simply login into the WorldFirst website and enter the details (Currency, Amount & Beneficiary Account) and then transfer the FROM amount to the WorldFirstbank account. 3. WorldFirst then send the money to the beneficiary foreign currency account at much better rates than you would get using your own bank. 4. WorldFirst notifies you when the funds have been received into the destination account. WorldFirst does not send cash or allow cash to be paid into its account. Using cash will result in the payment being stopped and the return of funds involves a lengthy process that includes a formal identification process. 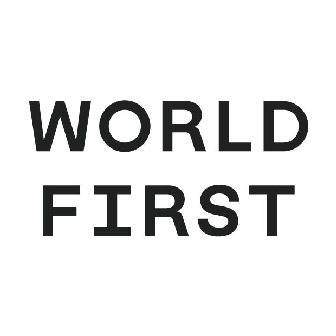 WorldFirst does not accept cheques under any circumstances, for any currencies. WorldFirst deals with more than 60 global currencies with very competitive rate margins and generally offers the best or close to the best exchange rates in the market. As with all foreign exchange providers their exchange rates get better the more you send, with margins often going under 0.7% once you are sending over GBP 50K. WorldFirst do not charge Transfer Fees. WorldFirst has one fees when using their online platform where you can send as little as £100 on a fee-free basis. Occasionally, third-party banks may deduct a fee from your transfer before paying your recipient. This fee may vary and WorldFirst receives no portion of it. If you’re concerned, simply talk to one of the WorldFirstteam members to discuss your transfer as you may need to send extra to account for any possible bank imposed fees. Ant Financial, the Chinese fintech giant that recently acquired WorldFirst, has set its sights on Europe, where it plans to take its share of both cross-border and point-of-sale payments. Chinese fintech giant Ant Financial has acquired British payments specialist WorldFirst for an undisclosed amount. I use Worldfirst for my online store. They set up a bank account for me in Europe and the US, and helped me so much with my online business. My account manager is always there when I have any questions. I have saved so much money in currency fees and margins with Worldfirst. It made me realise just how much my bank was ripping me off before. Word First offered the best rates when compared to others. The team really know their stuff and where very happy to take to time to explain, even with all my questions. Used BER to find the best rate, they sent me to World First. Couldn’t get a better rate anywhere else and also the guys were so friendly when I was asking questions. I have told all my friends to use them and now they all do..
Great rates and service – I always book my trades online and the money arrives on the other side. It’s always the amount we agree with out any other fees being taken out. It’ such an easy way of paying overseas. Easy registration, informed staff, great rates, easy platform. I send funds to NZ on a monthly basis and use the World First app on my I Phone and its done within 20 seconds, couldn’t be happier. Have recommended them to a number of friends and will continue to do so! Best Exchange Rates put me onto World First – no looking back great service and rates – they only seem to employ happy people. World First offered great service and awesome rates. The other surprising thing was the advice they offered and level of service, they made me feel like their only customer no rushing me off the phone or asking me to deal online instead of calling. Great company couldn’t recommend them more. I first used them because of their rates, which are the best, I quickly learnt that it’s about more than rates, the service and usability of the online part is great. I have used World First for a number of years now. The thing I really like is they are very informative and open to helping you with your questions. If I need help I can always call them to speak to my dealer, John and he is always happy to help. Or as I do most of the time simply log to their online platform to book my deal. Every step of this deal booking process is captured and recorded on my online so at all times I know what is happening. My favorite is that I can set rate alerts when I need those high rates and someone from their office will call me. You don’t see this type of service as much now days so I am very happy with World First. Votre équipe a toujours répondu à mes demandes, ce qui était particulièrement important étant donné qu’il s’agissait de ma première fois et que j’étais nerveux à l’idée d’envoyer de l’argent à une entité inconnue. I used World First to transfer cash back home, they got me the best rate and the service was really good. My brother also uses them for his companies foreign exchange and he raves about them! I had to trade some money from GBP to AUD. I was recommended to World First by BestExchangeRates. The recommendation proved to be brilliant. I was dealt with on a very personal level and had everything explained, including trading risks. I was contacted by one person and never referred on without being asked or informed why. The service was excellent as were the staff and it all happened as they promised. Also I saved a few thousand pounds over what the banks wanted to charge ( or should I say exploit) me.